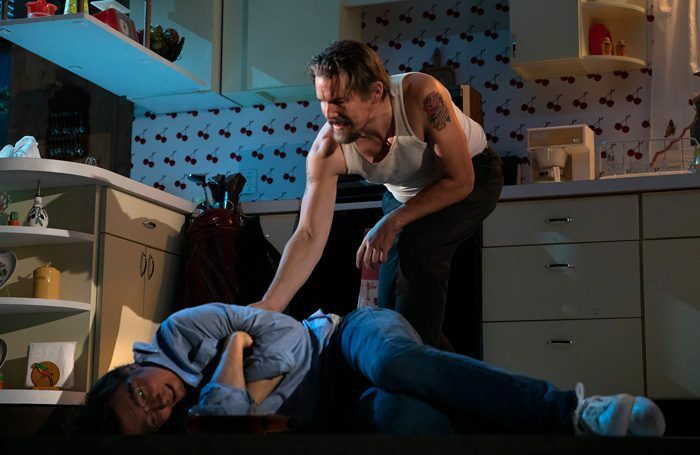 Sam Shepard’s play about brotherly animosity and the mythical American West returns to Broadway in a kinetic production by James Macdonald featuring a bold performance from Ethan Hawke. True West premiered on Broadway in 2000 with John C Reilly and Philip Seymour Hoffman swapping roles. Now, Hawke and Paul Dano play more to type as the two brothers. 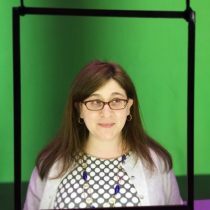 Dano’s Austin is a buttoned-up, Ivy League-educated screenwriter on the cusp of success. Hawke’s Lee is an unpredictable thief who wanders the desert. They are enamoured with each other’s way of life. Thrust into conflict over a potential screenplay, they are driven to destroy one another without fully understanding why. Shepard’s play is symbolic and strange, if also a bit thin. Macdonald’s production bolsters it with gnawing electric guitar interstitial music, carefully calibrated lighting by Jane Cox (a fantastic bilious dawn included) and Bray Poor’s tension-driven sound design. Macdonald extracts humour from the play but the outlandish disintegration in the second act does not quite come off, in part due to Dano’s reticence. His introspective approach works well in the first act, but he is less convincing when he lets loose. Hawke, however, is superb. His Lee is a lizardy con man with limited hustle who’s desperately playing his only hand. Belly jutting out, covered in sweat and filth like nothing could ever wash him clean, Hawke physically digs into the role. With an obscene finger gesture or a subtle slump in his posture, he alternatively radiates helplessness, shame, innocence, predation. Alongside them, Gary Wilmes makes a perfectly oily film producer. The production also benefits from a delightfully batty cameo from Marylouise Burke.